Since we're all skint and depressed that Christmas is over, let's have a wee haul post, shall we? First up, my AW12 Sale purchase. Yes, purchase. Not purchaseS, just singular because I'm poor and that's that. 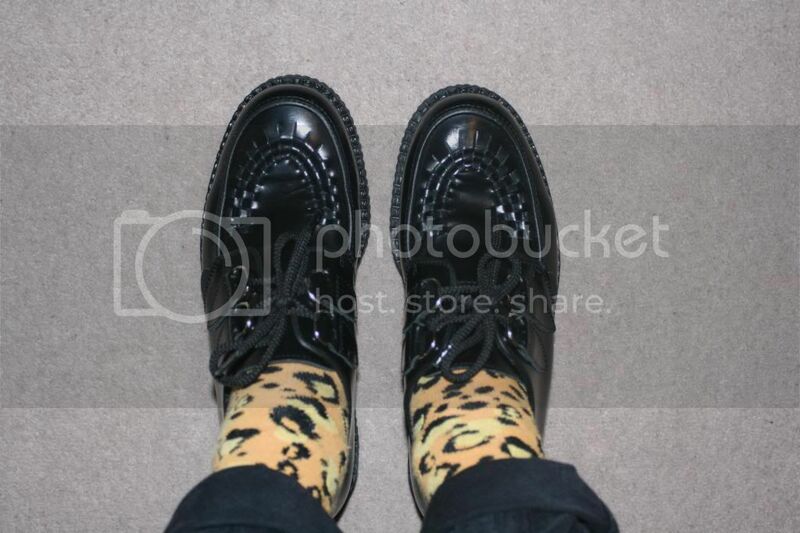 They're some rather snazzy and totally outrageous Creepers from Underground at Office. I bought them at the Trafford Centre branch, which means that the staff have to travel and age to collect items from the stock-room, located in some 3rd dimension. 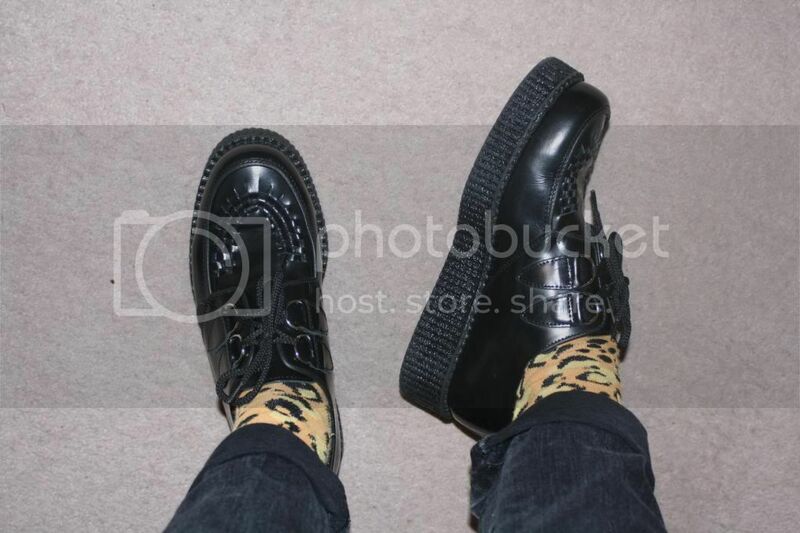 But, nevertheless, I got my Creepers in the end and for the bargain price of £48.00! They mark my first foray into the world of Creepers and looking down at them makes me want to sing '"Jeepers Creepers, where'd ya get those peepers?' 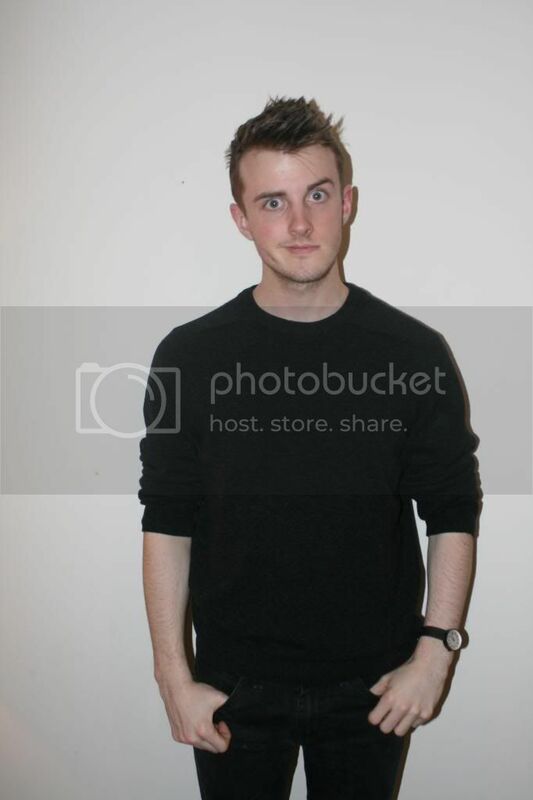 + they make me at least an inch and a half taller! Next up is a purchase not technically made by myself, but by the in-laws! It's my Christmas present from them and I am in love with it. It's from Muji, a brand was introduced to by Selfridges and one I have come to adore for their sheer brilliance when it comes to simplicity made stylish. 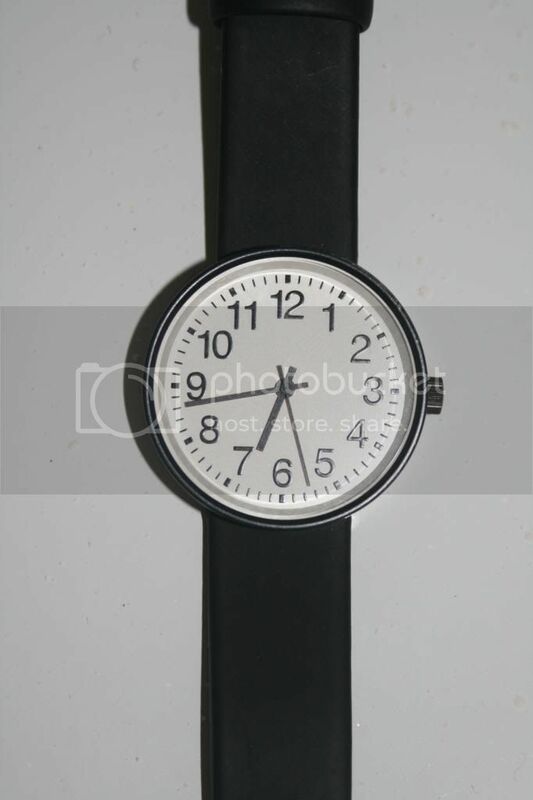 This is a watch, made from plastic with a white round face and black numbers on it. That is pretty much all I need from a watch to be honest. If a child was going to draw a wrist watch, this is what they would draw. Next, a bargain from Pop Boutique in Manchester's Northern Quarter, one of my favourite boutiques in the city's indie district because: A) it's really cool and makes 60s vintage fashion look beautiful and B) you can always find a right bargain! 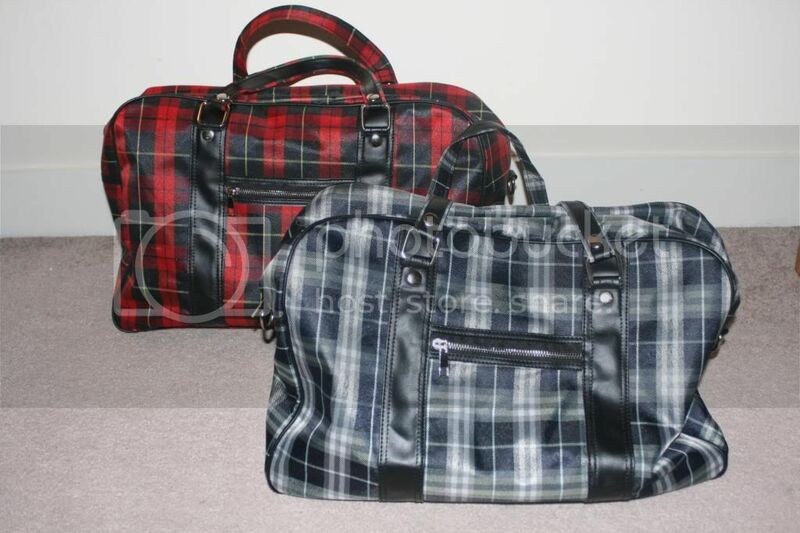 Take, for example, these holdalls. 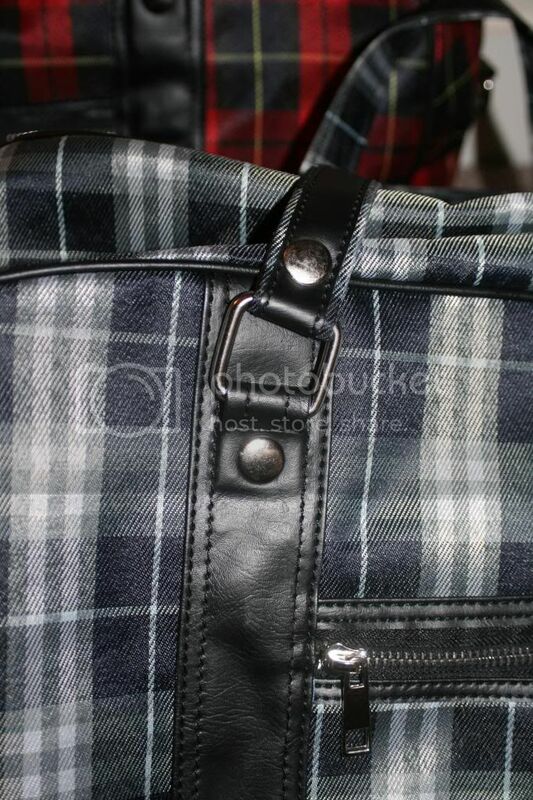 They're tartan, with faux-leather handles and metallic embellishment. They're big enough for a weekend away and they count as on-board luggage for planes. And they were £5 each. 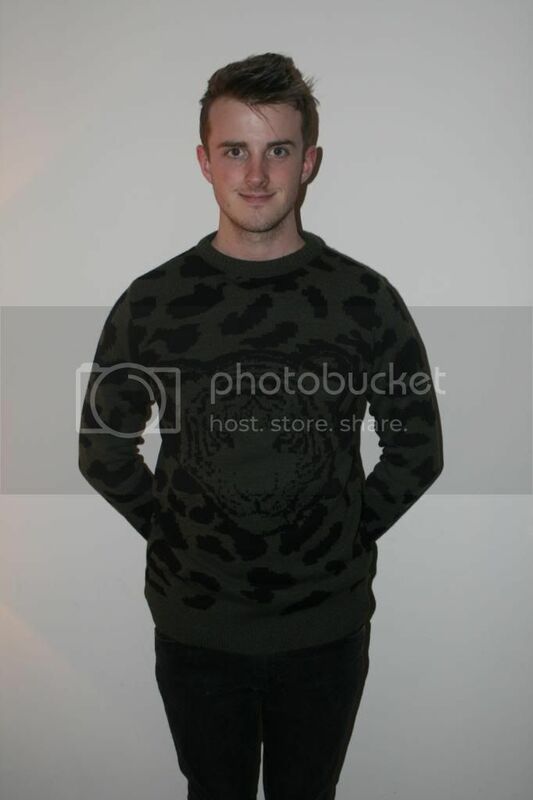 Finally here is a gorgeous sweater that the boyf picked up in the Clearance sale at TK Maxx. It was £10 and I bloody love it, gutted I didn't get there first.